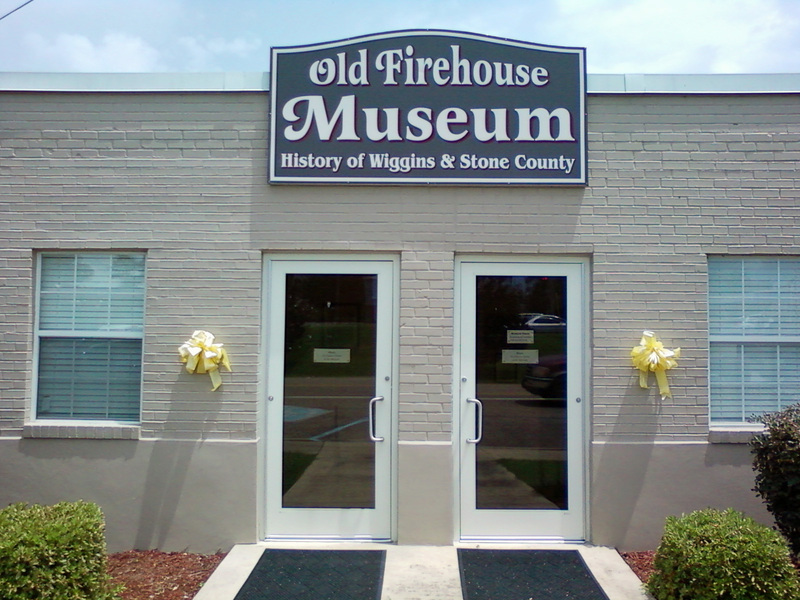 The Old Firehouse Museum is the official museum of the City of Wiggins and the Communities of Stone County in Mississippi. The Museum is located in the historic Wiggins Firehouse at 117 First Street North, Wiggins, Mississippi 39577. Founded by a group of retired Stone County school teachers who are driven still to educating those around them and supported by the City of Wiggins, a few gracious benefactors, and lots of donations and sweat equity, The Old Firehouse Museum has gone in less than two years from vision to reality. The goal is preservation of the history and supporting artifacts of the City of Wiggins and Stone County. The Museum is open on Wednesdays and Thursdays from 9:00 am until 4:00 pm. Special openings may be scheduled by contacting us at oldfirehousewiggins@gmail.com. I am truly excited about The Old Firehouse Museum. Many wonderful memories of home and the Class Of 1973 that I hope to see soon. Thank you all for your hard work and your tenacity to see this preservation of history….become a reality.